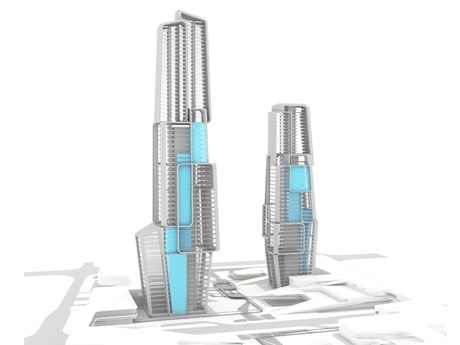 UNStudio, the Dutch architecture firm behind the winning proposal for Yongjia World Trade Center in Wenzhou China; describes their creation as 'Precious Objects On A Tray'. This is because the five towers are all connected at their base by a landscaped podium. The unique feature of this proposal is in their programming which deviate from the conventional perception of trade centers. This scheme proposes a mix of recreation, cultural, commercial and residential components. The residential towers are conceived to be 'neighborhood in the sky' with social gathering spaces in the form of sky garden and lounges interspersed in between. 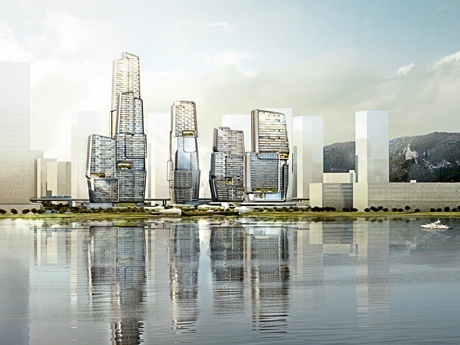 This project will add onto the already charming riverside city of Wenzhou.